Dream home in the Venetian Islands Miami Beach.. Text me for a Tour 305-801-2345. Architectural modern masterpiece and one-of-a-kind work of art on coveted Venetian Islands! The art connoisseur, interior design lover, and future owner will revel in this fully custom awe inspiring home. 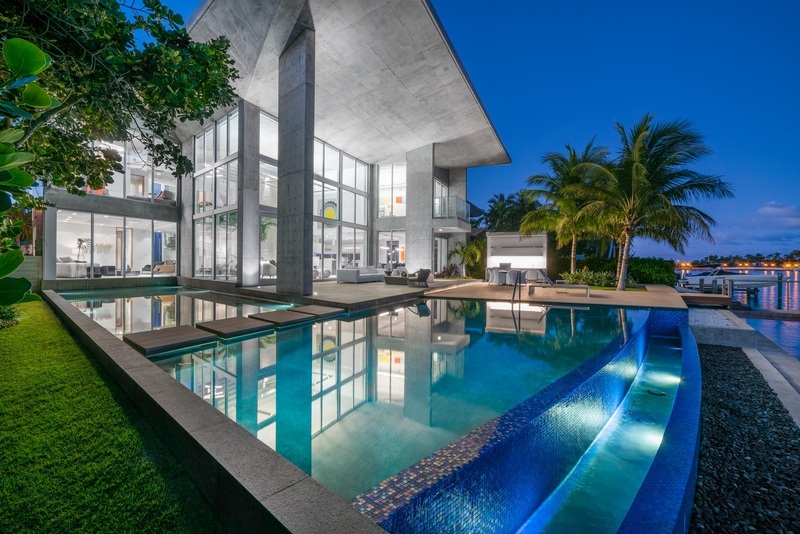 Boasting expansive Biscayne Bay waterfront views, soaring ceilings mixed w/cantilevered concrete & voluminous glass, floating sculpture staircase w/illuminated black quartz, unique 19’ NOA rated entry door never again replicated and interior tropical garden w/sustained irrigation system. Chef inspired enormous tailor made Snaidero kitchen & bar w/temp controlled glass wine room is an entertainers dream! In addition, each of the 5 bedrooms have en suite baths & fully built.